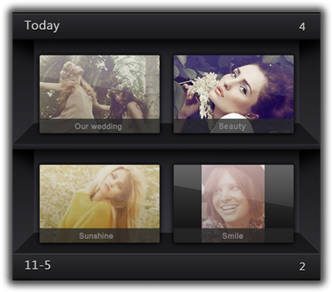 Cute CUT provides intuitive bookshelf like Movies UI, which helps you manage your movies easily. All movies are arranged by date. The latest ones are on the top shelf. Cute CUT is desinged for Multi-Touch. Just drag and drop, you can assemble your media segments easily. One movie consists of several types of Tracks, and one Track can contain several Segments. All of these elements are clearly arranged in the interface. Cute CUT supports adding 6 types of media into movie. They are video(album/camera), photo(album/camera), self-draw, text, music and voice. 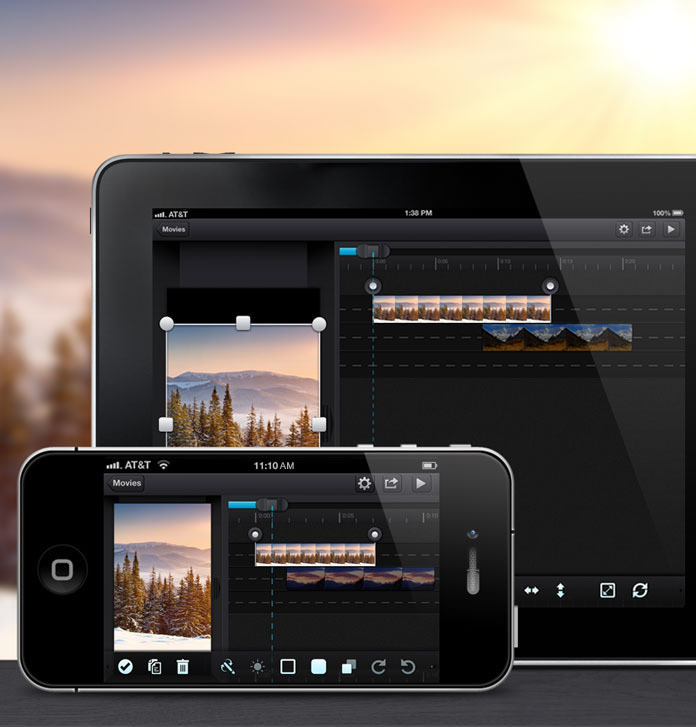 Cute CUT provides more customizable utilities than any other movie makers on iPhone/iPad. So you can make out your own unique movie that is much different with others. You can draw direcly on the movie. Cute CUT gives you 30+ tools to draw. And 3 advanced brushes help you create professional effects (texture, linear gradient and radial gradient). 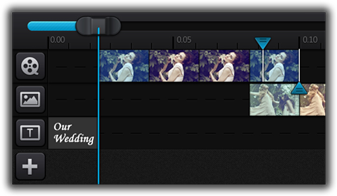 Highly customizable transitions can be applied to Segments to let you movie making more exciting. Making interesting movies is very simple. Transparency, Border, Corner, Shadow, Rotation, Scale and Sound Volume...All Customizable! Cute CUT supports making HD (16:9) and SD (4:3) movie. You can also make Portrait and Landscape mode movie. You can export your movie to Camera Roll or send it to your friends by E-mail. You also can publish it to YouTube, Facebook. All can be accomplished in Cute CUT app. We provide detailed video walkthroughs to help you fully grasp the usage of the app. Check them out to learn more about Cute CUT.